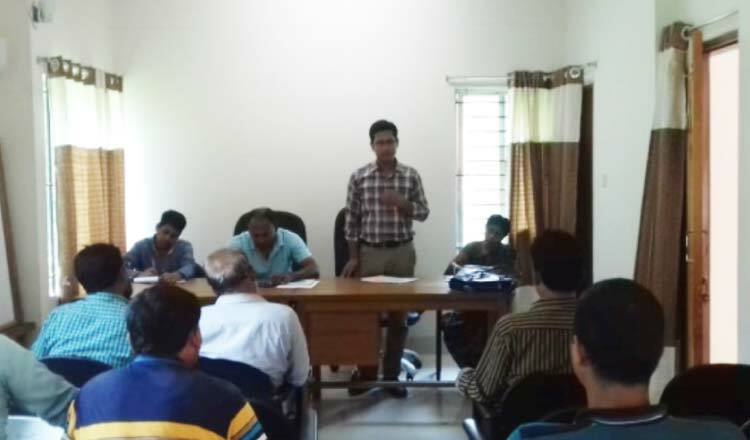 BeezBistar Foundation(BBF) organized a meeting with input dealers (Feed seller, DOC seller, dresser +processor of LBM, Middleman of poultry value chain) on August 27, 2018 in BBF office meeting room, Tangail Sadar.There were 19 participants present in the meeting for the purpose of stakeholder engagement of poultry value chainactors and better enforcement of laws, policies for regulation in the poultry feed sector. As the regular monthly activities, BeezBistar Foundation (BBF) organized a meeting with 18 farmers where 15 were female at the Yard of Sishir Poultry Khamar,Batikamari, Kumarkhali, Kustia on 26th August 2018. The purpose of this meeting was to aware farmers on good farm management practices along with Good personal Hygiene Practices during the time of farm rearing period. 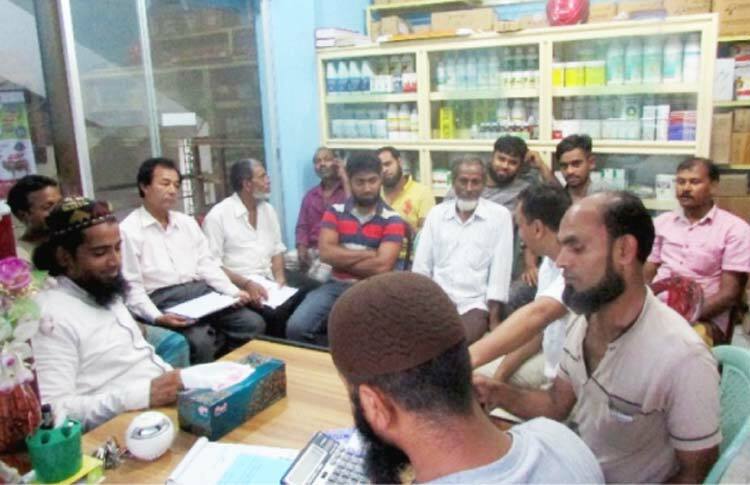 In Putiajani Bazar,DelduarTangail, monthly meeting for July was held on 31 July 2018 where 16 poultry farmers joined for the purpose of role and responsibility of poultry farmers to ensure food safety governance. 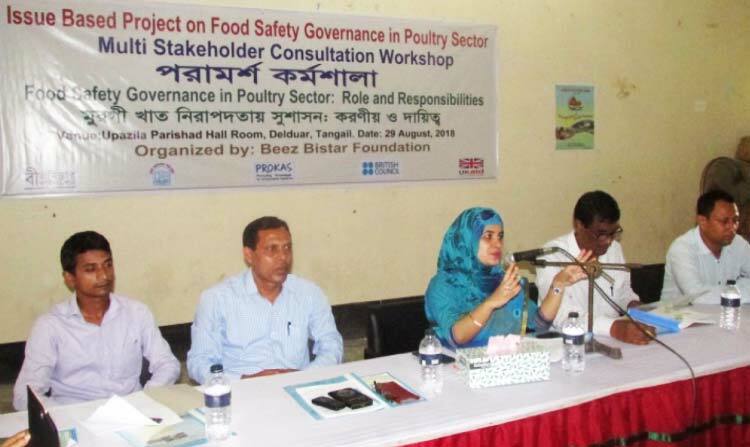 BeezBistar Foundation (BBF) organized a monthly consultation meeting with upazila livestock officials under IBP on food safety governance in poultry sector on 30th July 2018 in Upzila Livestock Office meeting room, Kumarkhali, Kustia. There were 15 participants (14=Male; 01= Female) including representative from poultry farmers, dealers and BBF staff participated in the meeting. Meeting was conducted on three agenda: actions taken from last meeting, progress of actions and initiative needed for next. 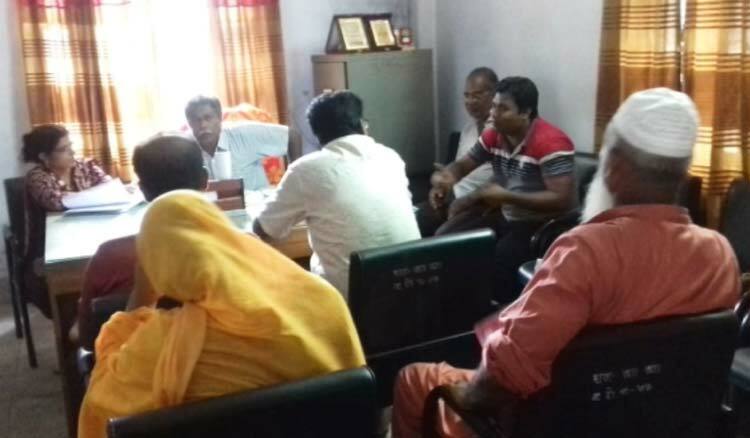 Monthly consultation meeting with Upazila Consumer Committee (UCC) was held on July 30, 2018 at BBF office room in Adhi, Tangail where 16 participants were present including 2 women. 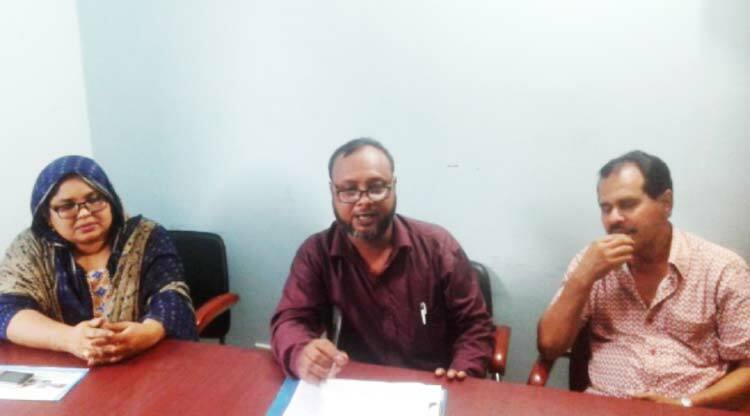 Meeting was started with welcome remarks by Rony Sarkar and he sharedagenda as progress of regular work as well as plan for upcoming UCC activities.